Wildlife in Singapore – The landscape in Singapore is built and maintained such that wildlife co-exist with the people living around their habitat very closely. With limited living spaces, it is not uncommon to find a monitor lizard crawling near concrete buildings that are close to parks and woodland, or for wild boars to be seen crossing roads in quiet residential areas. There are signs in places like parks to ensure that people are warned of probable encounters with wildlife and to stop feeding or disturbing them. These animals forage beyond their homes, lurking near food sources left by people. They may not be the dangerous wild elephants or tigers found in other Asian countries, but wildlife in Singapore can become a threat if encounters are not handled appropriately. Many agencies like Wildlife Reserves Singapore (WRS), Animal Concerns Research and Education Society (ACRES) and Agri-Food & Veterinary Authority of Singapore (AVA) are dedicated to protecting and educating the community about wildlife. Killem is no stranger to wildlife, working closely with these agencies to ensure that these animals are handled with care and handed over to them. Killem’s Pest Control Officers (PCO) have many run-ins with wild snakes, monitor lizards and many other animals. They are competent in handling any situation, always ready with their protective equipment and abide by the law and acts pertaining to the wildlife in Singapore. Our PCOs are kept updated on any changes and continually attend seminars like the Wildlife Handling Seminar organised by the Singapore Pest Management Association (SPMA) in June this year. Dr Abraham Mathew, who is a senior veterinarian and wildlife expert from WRS, conducted a meaningful seminar that was attended by 8 of Killem’s representatives. He was very wilful in sharing his thoughts and techniques on handling wildlife in Singapore to ensure the safety of both the people and especially the animals. It was an eye opener for many as we learned that animals are just as afraid of us as we are of them, finding ways to protect themselves in fear of harm. The ways in which people can protect themselves are as simple as moving away and placing space between animals and not making quick or sudden movements. One of the more feared and underappreciated animals are snakes but Dr Abraham Mathew was able to place confidence in us with techniques and pointers at handling them. Like many, we were concerned of snake bites as Singapore is home to both venomous and non-venomous snakes. The non-venomous kinds leave a row of bite marks when bitten, evidence that they don’t have venom. Concern rises when it’s a venomous snake that has bitten where the snake leaves two fang punctures and starts to chew. Even though the venom is for digesting its food, people once bitten should get immediate help. Our PCOs realised how the situation can be handled without any stress with the right treatment of the animals. Dr Abraham Mathew stressed the importance of the strength in gentleness when handling snakes and wildlife alike. 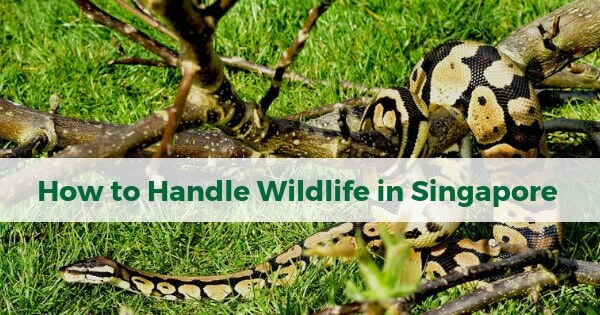 It may seem like a daunting task to remain calm in the presence of a snake or when bitten by one but doing just that can help with the situation tremendously. The gentlest movements can put a hyperalert snake at ease to an extent it mistakes its handler’s hand for a tree branch. Proper restraining techniques and equipment should be used as total immobilization of animals or restricting movements will affect animals’ behaviour and activities. Our PCOs have experience handling snakes and thus are confident in using equipment like snake thongs when restraining them. Other ways snakes can be captured include using towels, bags, pillow cases and dustbins as makeshift snake containment enclosure. Venomous snakes require more caution when handling compared to non-venomous snakes as they differ in terms of movement and behaviour where the former moves its head before moving its body. Snakes should never be restrained at the head or by its sensitive tail. Restrained or temporarily captured venomous snakes should always be labelled, as some can spit venom up to 2m and even chew through the bags they are contained in. In addition to the presentations done by Dr Abraham Mathew, Mr Kalai Vanan Balakrishnan of ACRES enlightened the attendees on how the drainage structures all over Singapore act as passage ways for snakes and reptiles to move around and as habitation. From time to time, wild animals can cross our paths but to ensure they don’t venture too close to our living spaces, homes should be inspected for holes or gaps, sealing them shut. The Wild Animals and Birds Act (WABA) was highlighted, and it was made clear that feeding wildlife in Singapore is illegal. Animals should not be accustomed to food handed from humans as this might alter their behaviour towards human, making them more aggressive. 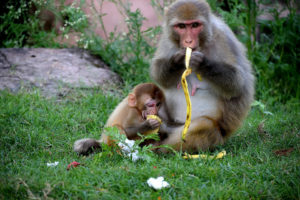 An endearing long-tailed macaque can become a hostile animal with just a flash of teeth from our smiles and laughs as what we assume as a harmless action is deduced as a sign of challenge for a monkey. There were many concerns raised by the Wild Animals Legislation Review Committee (WALRC) formed by Member of parliament for Nee Soon GRC Louis Ng and consisting of various stakeholders from the pest control companies, religious organisations, town councils and nature community on the recent proposals for amendments to the WABA. The WALRC has proposed as one of the amendments, for deployment of traps for all wildlife to be done only by qualified individuals. 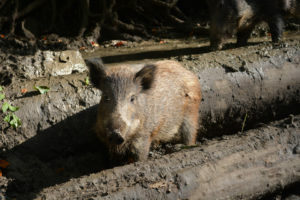 Animals such as wild boars have reportedly increased in sightings, indicating the ideal living conditions and increase in population. These bans in deploying traps can safe guard animals from illegal poaching and endangerment. People have responded in favour of stronger penalties and protection for wildlife in Singapore through the discussions and surveys conducted by WALRC. The proposed amendments aim to fill any gaps in the WABA, protecting wildlife all the same, regardless of whether they are in protected national park areas or beyond. Our PCOs are trained to refrain from unnecessary disruption to wildlife, respecting each being and handing over to the respective authorities when its beyond their means. Wildlife in Singapore, however small, will be a part of our living spaces from time to time. Killem aims to pursue more humane ways when handling wildlife and playing its part to ensure the safety of the public and not forgetting the animals.